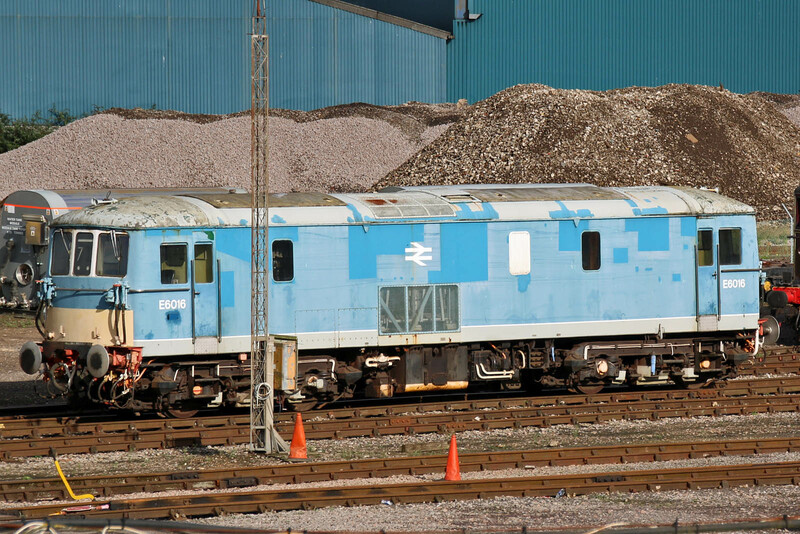 Recently arrived 73110 (E6016) awaits work following its acquisition by GBRf. LT 12 Sarah Siddons of 1923. 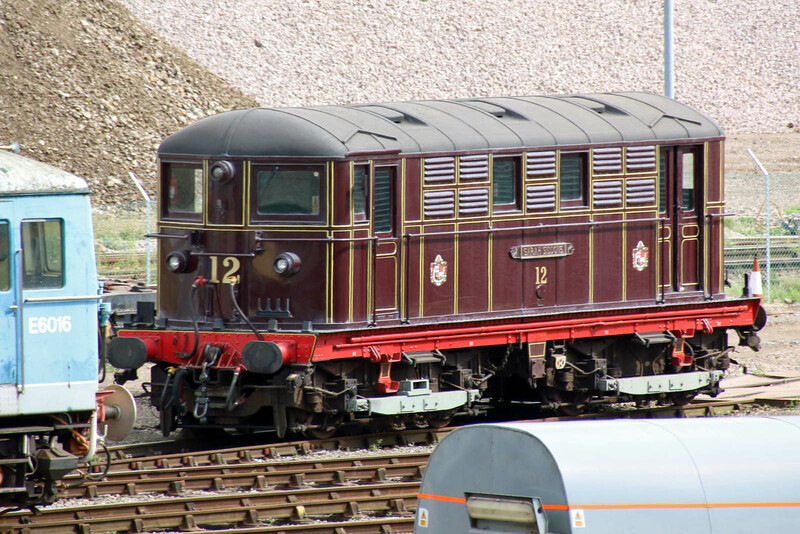 Delivered by road to Eastleigh in the preceding week, the locomotive is awaiting overhaul, and it is hoped to be operational before its centenary. 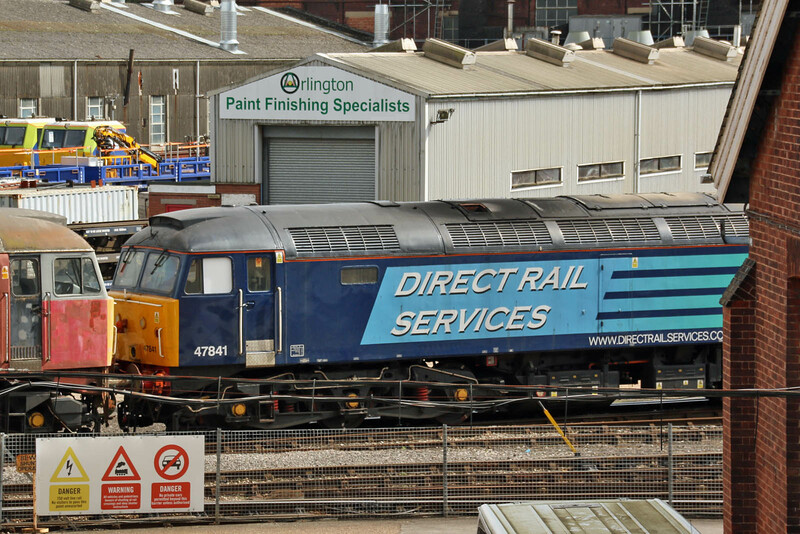 Stored 47841 is shunted in the yard. Preserved 47771 and stored 57011.